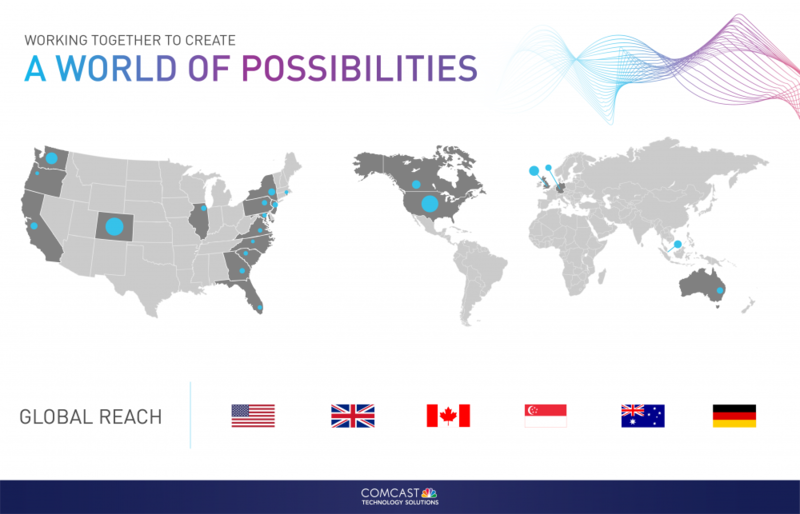 Comcast Technology Solutions is uniquely positioned like no other at the nexus of media and technology. With a rich broadcast heritage, continual investments in innovative media technologies, and nearly two decades of on-the-ground experience, we are the market leader when it comes to making all the pieces work together to power both extraordinary experiences and revenue growth. Our team of innovators, entrepreneurs, engineers, and business leaders span the globe, enabling possibilities the world over. Our team of innovators and entrepreneurs has decades of experience in media, technology, entertainment, cable and advertising. We are changing the way the world looks at video and providing our customers infinite possibilities on every screen. Comcast Technology Solutions is a great place to work. With more than 720 employees in 6 countries, we are constantly growing. Learn, evolve and take your career to the next level at Comcast Technology Solutions. The possibilities are endless.